Yes, you read that right. 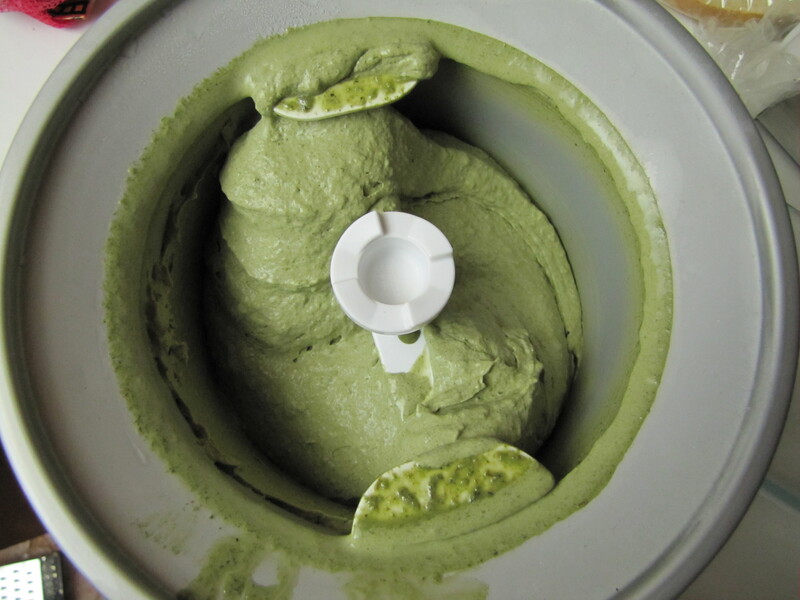 This post is about greens in your ice cream. It might seem a little ludicrous, but I created this recipe to demonstrate how incredibly gentle and marvelous sweet potato greens are (which we are lucky enough to have in our share this week!). You see, these gorgeous and highly nutritious greens are remarkably low in oxalic acid, the compound that give greens their slightly bitter mouth-feel, making them even easier to use than spinach. Sweet Potato Greens are suitable for anything you might do with spinach i.e. eating raw, sautéing, braising, creamy soupifying, frittata making, etc. 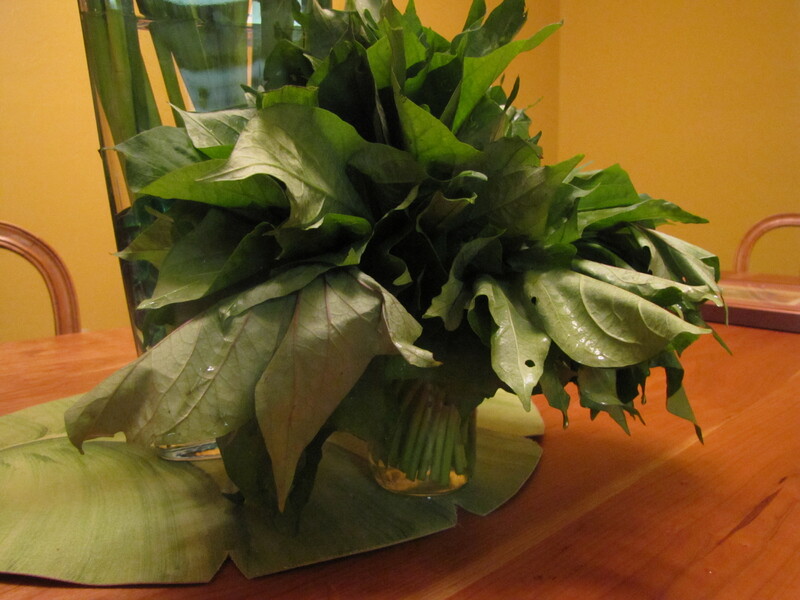 The leaves also are quite large, making them useful for some things you can’t do with spinach, i.e. wrapping (green tortillas anyone?) & stuffing (think grape-leaf-like yumminess). But here, in an oddly iron chefesque moment, I’m making ice cream. This might be slightly related to the realization I had at lunch that the only vegetables my 4 year old has eaten in the last month are potatoes, and really, when they’re deep fried they hardly count. But I digress. I decided on a half almond milk, half heavy cream blend for the custard, sweetened with maple syrup and organic cane sugar and lightly spiced with nutmeg to give it a nice kiss of autumn. 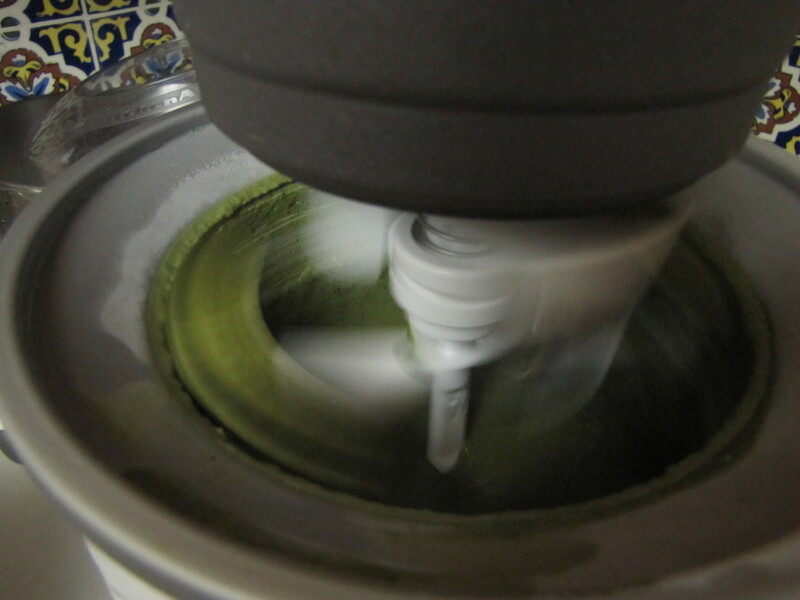 The stunning color and somewhat earthy-reminiscent-of-green-tea-ice-cream flavor makes you keep coming back for more. Wisk the almond milk and cream together in a heavy stock pan over medium heat. In a separate bowl, beat the sugar, maple syrup and egg yolks together until thick and frothy, a few minutes. When you can give it your full attention, turn the milk up to medium-high and stir frequently, bringing it almost all the way to a boil. At this point add the greens. 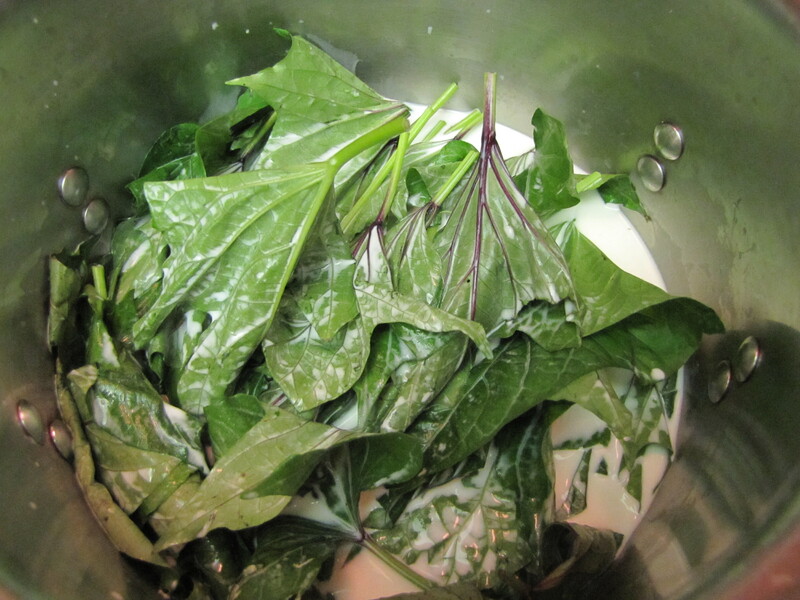 Blanch the greens for about 2 minutes, until thoroughly wilted, then remove & place in refrigerator. Bring the milk mixture back to a near boil, stirring constantly. When you’re there, turn heat down to medium. Slowly add about 1 cup of the hot milk to the egg and sugar mixture, wisking rapidly. Now add the egg + 1 cup of milk mixture to the main saucepan, wisking constantly and bringing the heat back up to medium high. Continue stirring until the mixture begins to thicken and starts to bubble, about 5 minutes on my stove. Remove from heat. Now the tricky part is to use some of the custard to blend with the greens and vanilla bean. 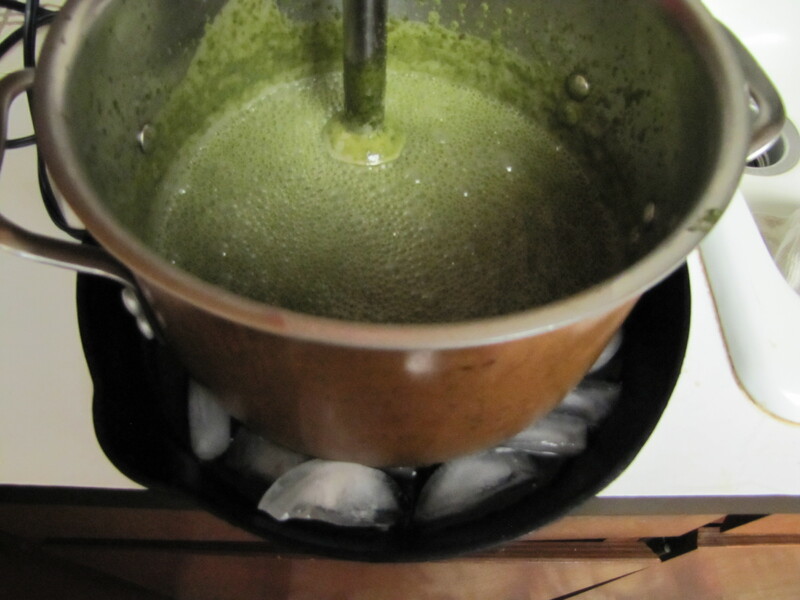 A standard blender is fine, if you’re comfortable using hot liquids in it. I ended up using a big jar and my immersion blender. When it was smooth, I put the super green custard back in with the rest of the custard, added the vanilla and nutmeg and blended some more to make sure it was really really smooth. You might notice that I had the pot in an ad hoc ice bath. This was just because I wanted to get the custard cooler faster, but if you’re not in a hurry, just refrigerate at this point, at least 4 hours until thoroughly chilled. Then make ice cream! I have the attachment for my KitchenAid stand mixer, which works splendidly. 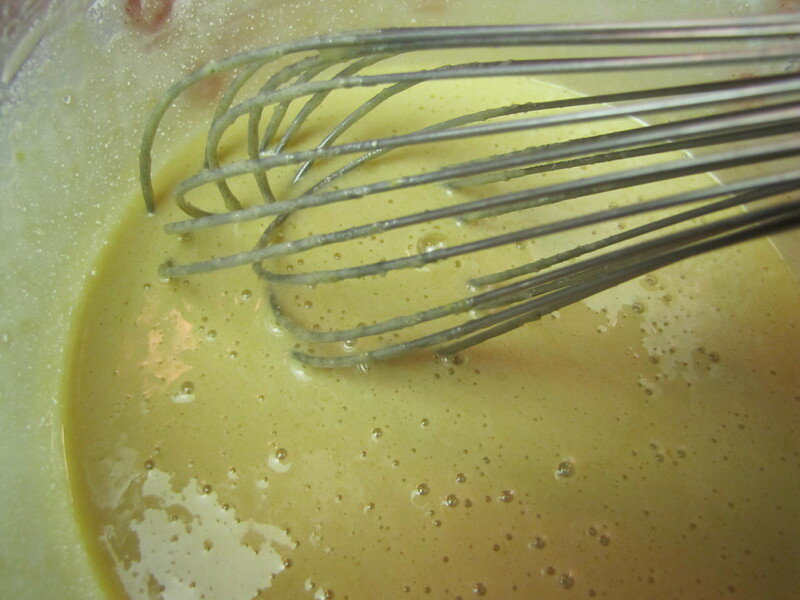 Just be sure to turn on the mixer before pouring in the chilled custard, then mix until firm. Mine seems to take about 10 minutes. Transfer to chilled slightly-larger-than quart-size container. Freeze until completely set. Feel free to vary the milks used in this recipe. 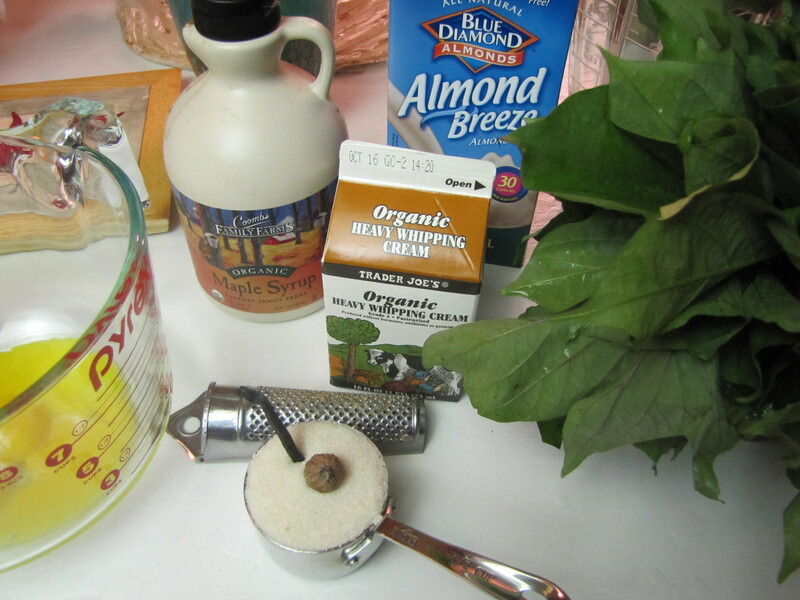 Soy cream or coconut milk in place of the heavy cream would make a lovely dairy-free version. Now fingers crossed, I’ll let you know how it goes with the vegetable-phobe tomorrow!